Corporation tax is levied on the adjusted profits of public companies and incorporated associations. This can obviously account for a sizeable proportion of an organisation’s income. However, there are a number of exemptions and reliefs available, which can lessen an organisation’s tax burdens. One such relief comes in the form of ‘charges on income’. This term describes payments that a company makes that can, for one reason or another, be acceptably deducted from profits or capital gains accrued during an accounting period. 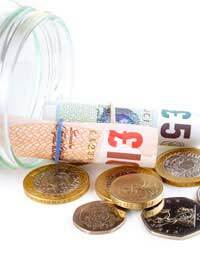 There are a number of different instances in which payments could be counted as charges on income, but the most common set of circumstances involves payments made to charity. Several years ago the Chancellor introduced ‘Gift Aid’, which is a tax-efficient method of charitable giving that offers benefits to both organisations and individuals. In the case of companies that pay Corporation Tax, Gift Aid donations can be counted as ‘non-trade’ charges on income and can therefore be deducted from total profits and capital gains. By definition, Gift Aid donations are paid from the company’s gross income and, for accounting purposes, they can simply be subtracted from the sum accrued during the relevant accounting period. There are several other instances in which payments can be counted as charges on income. Most importantly, some annuities and other annual payments can be counted as such when they fulfil a number of criteria. These criteria are, however, both complex and strict. According to the Income and Corporation Taxes Act (1998), any annual payments (including annuities) paid in respect of an insurance arrangement or payable by an insurance company will automatically not qualify as charges on income. However, other annuities might; according to the act, the company must have received “valuable and sufficient consideration…in exchange for the liability to make annual payments”. In this context "consideration" means anything of value, be that a service or goods. Finally, there are some other gifts that are allowable as charges on income. These are defined in Section 587 of the Income and Corporation Taxes Act, and are basically limited to gifts of shares in a public limited company to a charitable organisation. The rules surrounding these gifts can be complex, however, and so it is advisable to seek a professional second opinion before embarking on any such process for tax purposes. There are a number of idiosyncrasies concerning the way in which charges on income must be accounted for. In the first instance, it is important to remember that these charges are deducted from the company’s profits at the time that they are paid, rather than being left to accrue until the end of an accounting period (although, in practical terms, this is little more than a semantic difference). Essentially the calculation is a straightforward one; any net capital gains, as well as profits such as rental income, are added to the adjusted profit for the accounting period. From this, any charges on income are deducted, leaving the company with their final taxable figure. This is known as profits chargeable to corporation tax, or PCTCT.